While I love how Sanrio made Hello Kitty a superstar globally, but I do think that Sanrio has gone overboard with certain products and are just not meant to be sanrio products. 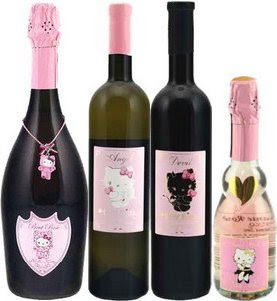 Call me crazy, but they look like a gimmick with the Hello Kitty brand pasted on wine that probably isn't up to fine standard for regular wine drinkers. As a sanrio addict, I'm quite embarrassed when people ask if I will buy the Hello Kitty wine because they know I love HK. I do love HK, but not to an extent that I need everything to have HK's face on every household product. 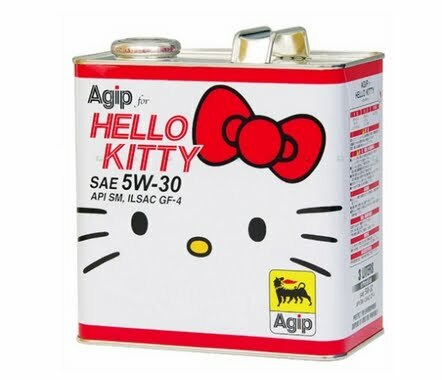 My problem here is that I know Sanrio is not a wine maker business and I feel that Sanrio has become such a greedy, money hungry business that they'll paste Hello Kitty on any such product. From the look of their many many products, it's gone mass produced. In my thinking, mass produced doesn't necessarily mean good quality products that is worth your invested money. Take a look below. Do you seriously imagine that this Hello Kitty Vacuum Cleaner can stand up nicely next to a highly recommended Vacuum Cleaner (in stores like Best Buy) that's been around for many years? It just shows you how Sanrio can forsake the value of a product just to make a simple buck from the Hello Kitty obsession. The only ones who'd buy products like these are die-hard Hello Kitty stans. I can see this vacuum cleaner breaking faster or not doing such a good job of cleaning the carpet while compared to the expensive yet non-Hello Kitty vacuums that are worth every single penny of your money. I just simply do not understand Sanrio. Don't they care about their reputation as a company that deals with valued quality products, rather than selling cheap knock offs with a pasted Hello Kitty sticker? 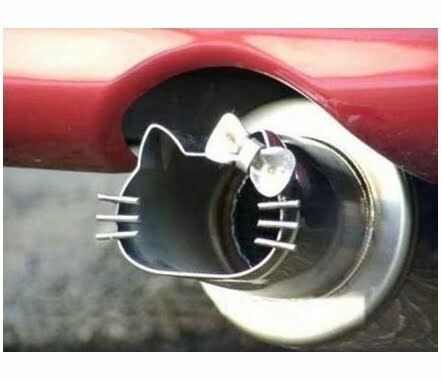 Car Exhaust Pipe: who wouldn't want that on your car?! 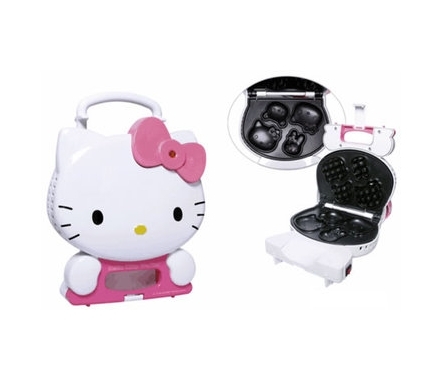 ^ The Hello Kitty Waffle Maker Iron is definitely a perfect fun cooking tool for Hello Kitty addicts. This doesn't require the best waffle/pancake maker to make fun Hello Kitty food. It's a Sanrio mass produced product that makes actual sense. ^ At least those male Hello Kitty fans can finally get some Sanrio products intended for their gender. Now, they don't have to hide those female Hello Kitty underwear... haha. 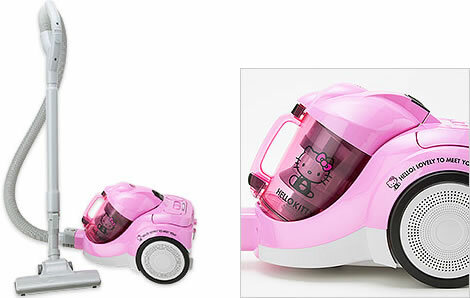 So that Hello Kitty is a real vacuum and not a toy vacuum? That's pretty funny if it is. I couldn't imagine an adult vacuuming with that! Yeah, I do believe japan sanrio sells these vacuums in their stores. Not sure in the u.s.